Mom, What's For Dinner? : I challenge you to eat clean and take your superfoods for 7 days and see for yourself. 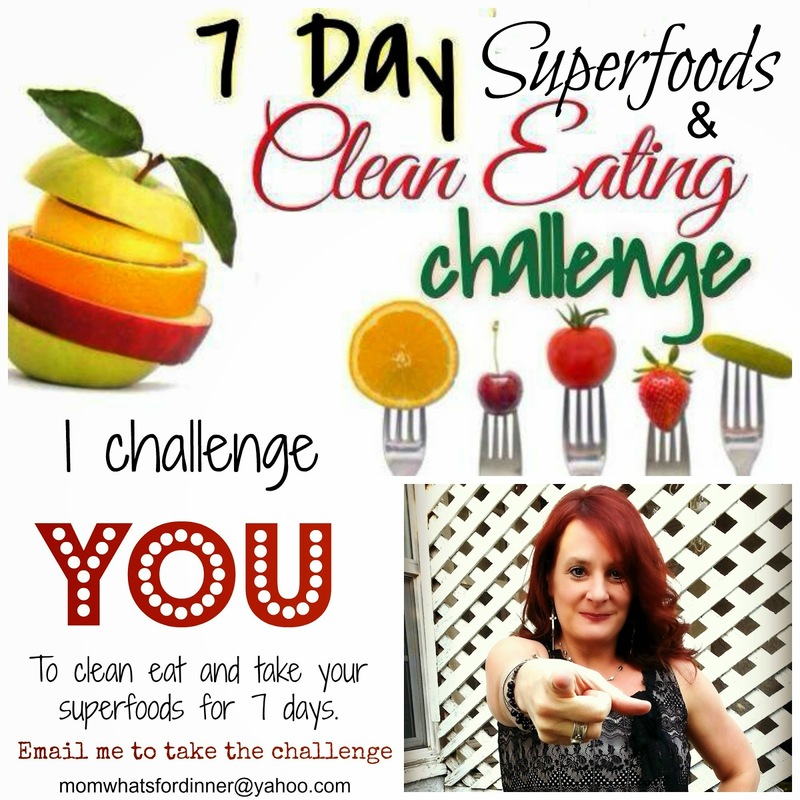 I challenge you to eat clean and take your superfoods for 7 days and see for yourself. Okay y'all! It is Spring now. Time to start getting ready to shed those Winter clothes. Are you ready? YOU! Yes YOU!!! I am challenging YOU to try clean eating and taking your‪ ‎superfoods‬ for 7 days. These ‪cancer‬ fighting ‪nutrients‬ that give you a burst of energy can't be beat and I am dying to have everyone just try it consistently while eating clean for just 7 days. If it doesn't change you, I WILL BE SHOCKED!!! I can do it with you one on one or you can join my‪ ‎accountability‬ group that helps us stay on track. I have recipes, shopping lists, and all you need to succeed.